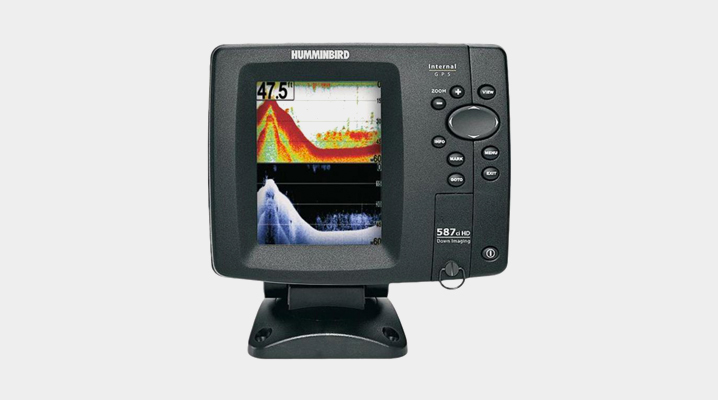 The Humminbird 587CI HD DI Combo gives anglers a double the bang for their buck with a fishfinder and GPS in one easy to use the device. The integrated 50-channel GPS receiver can track a plethora of routes, channels, and waypoints while providing accurate location tracking. The 4.5-inch screen of the 587CI has a 640 by 480 resolution and adjustable brightness level for the best display even when you’re under direct sunlight. Featuring the brand’s Down Imaging technology, you can get all the information you need by revealing the structures, cover, and details under your boat. There is also the Switchfire sonar with two different viewing modes – Clear and Max mode – to get the best underwater viewing details. It also has the exclusive Dual Beam system that allows a wider viewing angle for the best fishfinding coverage. And just like the other fishfinders from Humminbird, the 587CI HD DI combo has a set of easy-to-use features that make it ideal for new and seasoned anglers alike. The built-in 50-Channel GPS receiver of the Humminbird 587CI HD DI Combo will give you instantaneous position fixes that stays accurate within a 2.5 meter range. Aside from the 50 channel-capacity, it can also track up to 50 routes and 3,000 waypoints. The GPS system has an integrated Uni-Map cartography, a chart plotting feature, and a handy SD card slot so you can save even more routes, waypoints, and maps like the LakeMaster and Navionics to the device. As it is hooked internally to the 587CI, the GPS receiver provides a refresh rate of 4x per second of your location so direction changes and exact location tracking is updated almost instantaneously, no matter where the waves take you. The Down Imaging capability is a great addition to the Humminbird 587CI HD. This advanced sonar system concentrates razor-thin slices of sonar waves under your boat to provide you with detailed images of not just the surface, but all the structures, cover, and details of the desired area. This technology also works to provide details with pinpoint accuracy, unlike the lesser fishfinders that give you structures and activities that are off to the sides. 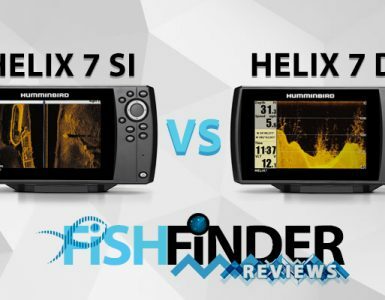 This technology, which is exclusive to fishfinders from Humminbird, will give you the freedom to choose how the displays will be returned to you. It features two different viewing modes: the Clear mode that sifts through the sonar returns to show only structures and fishes, and Max mode that displays all the sonar returns to give you all the details you need. No matter how accurate and precise a fishfinder is, having a narrow field of vision can render it useless. For this reason, Humminbird designed the 587CI HD with the Dual Beam Plus sonar system. This innovation doesn’t only work to expand the viewing angle, but also provides 20 and 60 degree beams for seeing under the boat with a more defined bottom hardness and better overall structure. As a user-friendly fish finder combo, the Humminbird 587CI HD comes with custom viewing and digital readout selections for a personalized fit. Its large digits make accurate viewing possible even from a distance, while the selectable background color ensures that you get the clearest displays possible. There’s also the time-saving X-press menu system that will let you switch to the most used settings in a flash. 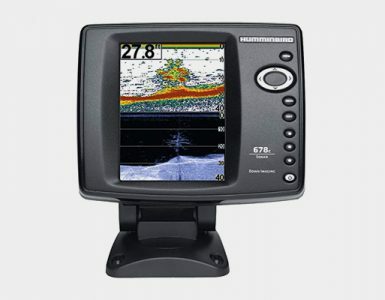 The Humminbird 587CI HD DI Combo Fishfinder and GPS measures 9.3 by 18.3 by 12.3 inches and weighs 4.4 pounds. It comes complete with a transom mount transducer, mounting bracket, and a comprehensive owner’s manual. Humminbird has the 587CI HD DI covered with a 1-year limited warranty on parts and service. The 587CI is accurate and easy to use and read. It gives you a really good indication of everything going on around and underneath the boat and will help you track down the fish very quickly. It has a very clear color display, and this makes things so easy to read. It has such a wide scope as well, so you really can get a very clear picture of the underwater world around your boat. 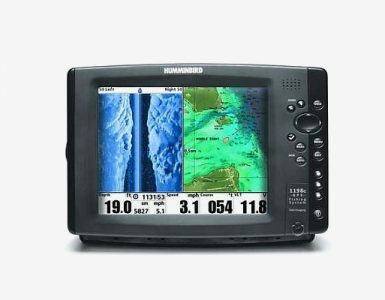 The Humminbird 587CI HD DI is a very reliable and quality fish finder that can really improve your fishing trips significantly.